If there is one common skin issue that gives nightmares to almost all teens and youth, it is ‘pimples’. It is hard to find someone who has not got ‘kissed’ by this ‘little devil’. But just when you realized that they cannot reach beyond your face, chest, back, etc., you discovered them right on your scalp! We hate to break it to you, but acne and pimple can actually attack a number of other parts of your body as well rather than the mentioned ones. Our scalp is one such area, where pimple attacks are really common and you must not leave them untreated. So, let’s find out more about scalp pimples and a few natural home remedies that can help you banish them easily and effectively. Our skin is the largest organ in our body, which gets exposed to all kinds of good and bad situations. Just like the healthy ones, the effects of each and every unhealthy condition are mirrored by it directly. Being an extended version of the skin, the scalp is also prone to different types of issues including breakouts. If you have an oily scalp or a tendency to sweat often, you might have already experienced ‘scalp folliculitis’ (commonly known as ‘scalp pimples’ or ‘scalp acne’). In this condition, the scalp breaks out as one or more hair follicles get inflamed. 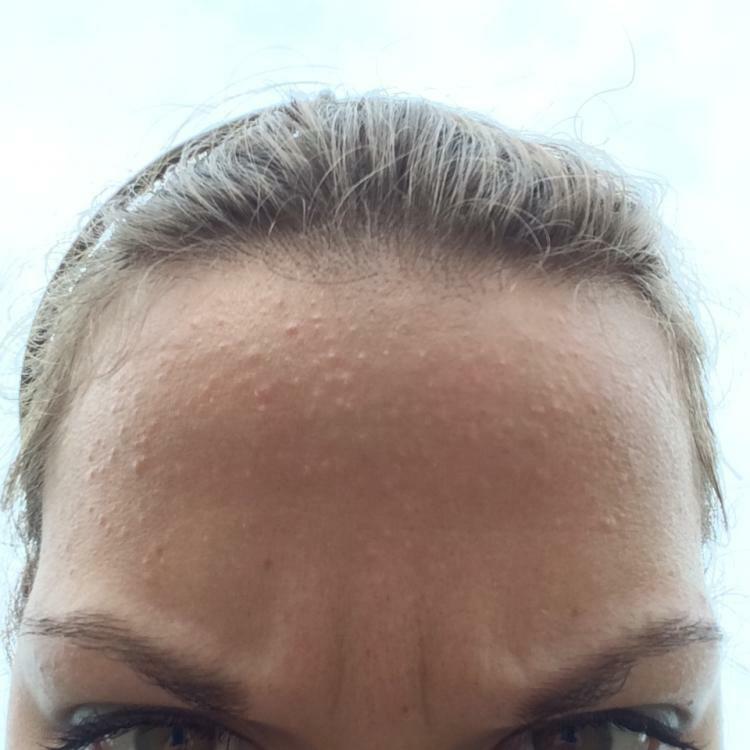 It is equally painful like any other acne or breakout and can turn out to be extremely annoying. 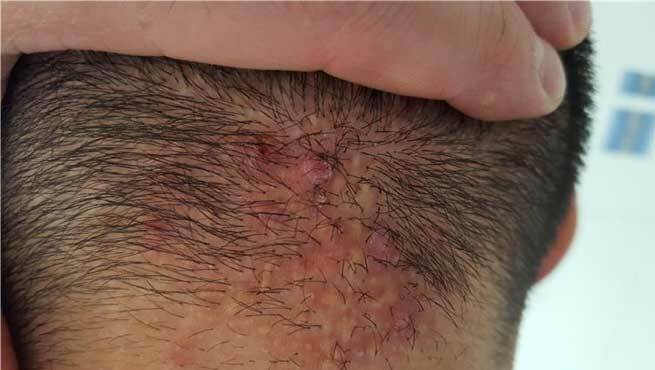 However, scalp pimples pop out beneath the skin of the scalp. Hence, they are slightly difficult to deal with. Treat your scalp with the utmost love and care just like the rest of your body. Always keep it dry, clean, and free from excess oil. Bring healthy changes to your daily diet and maintain a healthy lifestyle for preventing and managing scalp pimples in the long run. Many anti-acne medications intended for scalp are available in the market. However, it is better to consult with an expert before taking these. Neem leaves are considered to be full of medicinal (anti-inflammatory, antiseptic, antibacterial, anti-fungal, and so on) properties. Hence, washing the scalp and hair in water boiled with fresh neem leaves prove to be extremely effective in warding off pimples from the scalp. Squeeze out the fresh juice of half a lemon and apply it directly to the pimples on your scalp. The oil-controlling capacity of lemon juice will reduce the excess production of oil on your scalp and keep it flake-free, thereby eliminating pimples completely. Being a strong anti-inflammatory ingredient, garlic can keep scalp pimples way. Applying crushed garlic or its juice directly to the scalp also dries up pimples quickly and eliminates the pain caused by them. Not only papaya is a rich source of antioxidants but it also helps in soothing inflammation. Grind a few pieces of a ripe papaya (along with its seeds) into a smooth paste and apply it all over your scalp by covering the follicles. This gives instant relief from scalp pimples. Wheatgrass is rich in antioxidants, which help in detoxifying the body and keeping the scalp clean. Therefore, consuming wheatgrass juice on a daily basis is beneficial for curing scalp pimples. Both yogurt and oatmeal have great anti-inflammatory properties. Moreover, oatmeal helps in cleansing the scalp while yogurt soothes it beautifully. So, mix 2 tablespoons of fine oatmeal powder with 3 tablespoons of fresh yogurt and apply it all over your scalp covering the roots and follicles nicely. Once dries, rinse it off with lukewarm water. Cold-pressed groundnut oil has great antioxidant as well as anti-inflammatory qualities while the juice of the lime keeps the scalp free from excess oil and dandruff. So, prepare a concoction of groundnut oil and freshly squeezed lime juice and apply it to your scalp focusing on the troubled areas. Grate one nutmeg, mix it with raw milk and apply the mixture to the pimples on your scalp. Leave it for a couple of hours and wash off with plain water. Nutmeg is full of medicinal values and combining it with milk eliminates both the pimples and their marks. The medicinal properties of tea tree oil eliminate the pimples while the nourishing qualities of olive oil help in healing the affected area of the scalp fully. Mix a few drops of tea tree oil with a tablespoon of olive oil and massage it on your scalp. Rinse it off after an hour or two to see great results. Lavender oil can control the secretion of excess oil on the scalp and dry up pimples like magic. Mix 1 part of lavender oil with 1 part of olive oil and 4 parts of tea tree oil and apply the oil blend to the affected areas of your scalp. Leave it on the scalp for 30 minutes and wash off with lukewarm water. 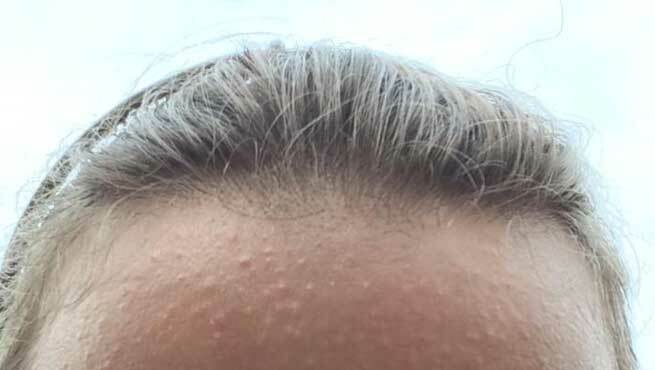 Stop using greasy hair products if you have scalp pimples. Try a gentle exfoliating scalp treatment once a week. Never ever try to pop a pimple on your scalp. It will worsen the situation further!